Not many people actually take the time to understand what their dashboard warning lights mean until something goes wrong. Ignoring warning lights could mean your car may suffer serious and expensive damage - so it pays to understand those blinking bulbs. 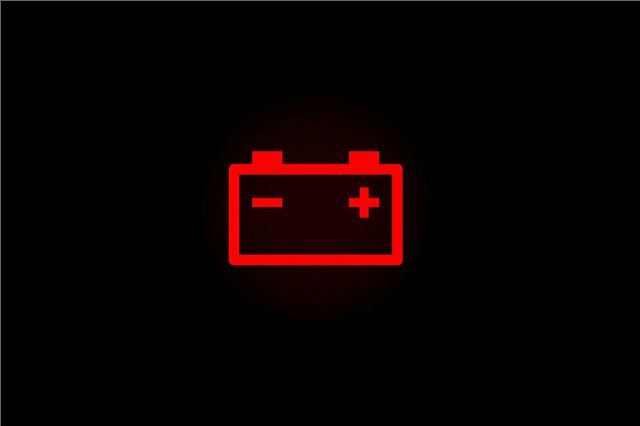 You should see your battery charge warning light when you first turn your car on, but if it doesn’t go out a few seconds after the engine starts there could be a problem with your car’s electrical system. If your car isn’t charging its battery when moving then you could eventually run out of electrical power and grind to a halt, or be unable to restart the engine. Seek professional attention for this issue. Really!! If you failed to know the problem that could lurk behind any of these lights you really are not fit to own a car. You should either take a taxi or public transport, or have a huge bank balance to pay for the inevitable garage bills. I was horrified to learn that a new engine on my Mercedes S600 biturbo is in excess of £30,000!!! A set of spark plugs fitted by the dealer is £1,000!!! a far worse problem than not knowing what the idiot lights are , is people who buy expensive , hi tech cars, which appear economical to buy/run, but have NO idea what they are actually buying in terms of maintenance costs. japanese cars have always been reasonably inexpensive, but the price of parts is prohibitive. years ago the price of a set of ford brake discs was £12, suzuki jeep £125. ... This is often why people will buy ,say, a brand new Ferrari, and dismantle it for parts, they are worth far more than the assembled car. How bigoted is this guy ? Myapologies. Having read my contribution it seems as though I was being critical of Mr Powell's observation. That was certainly not intended. Profuse apologies. Mr Cowell!! What is wrong with me today?!! The car had better stay in the garage until my head is clear enough to drive it!! Sorry again. What did any of us used to do before sensors and computers ? we would check it yourself and learn. The Engine Management Light is odd in the sense that it seems to cover a multitude of problems or non-problems. I have a Boxster which I use for track days and on two occasions the day after a track day the EML has come on. I have taken it to the garage and they have put their diagnostic machine on it but have not come up with a credible reason for it to come on. They simply "reset" (turned the light off!) the system and away I went! To go to the other end of the spectrum, vehicle wise, I have just driven our (diesel) Community Bus where the EML came on after I started the engine. But after the engine warmed up a little the EML went out! And when that has happened before and been checked out, there seems to be no credible explanation why it happened.......In the old days one had the battery light and the oil light....and we got on fine! What a sweeping statement Polar590. Why should I know what problems lurk behind these lights when they don't all refer to my vehicle, which is a Vauxhall Carlton. A car which I've owned for many years. You are making assumptions that we all own a car such as yours, paying exhorbitant prices because we don't know any better. - my oil pressure light came on all the time - so i just took the bulb out ! ............only joking !! If unsure about the warning lights read the supplied manual or contact your dealer. I hope this doesn't sound facetious but it is important to know what these lights mean as other contributors have alluded to. Look after your vehicle and it will look after you. Keep safe and enjoy your motor car. In cold weather my 2015 2 litre Zafari indicates warning check pressure on tyre indicated nothing wrong with pressure/ cold must affect the sensor's . My 2015 Mondeo has tyre pressure monitoring but my cold weather tyres and rims don't have the appropriate valves so I get a warning message to say that there is a malfunction in the TPM sensor. I can switch the message off but the warning light stays on. All will be well again when it's warm enough for the fancy alloys and tyres to go back on. Would this lead to an MOT failure (non working TPM system)? We are not all experts so we turn to the driver's handbook for guidance, in the case of my BMW 520d there sadly is none in the handbook, not even drive straight to your nearest BMW dealer for help. Some car manufacturers are so far out of touch with those who buy their products that they do not deserve to stay in business. I've drove a car for 2 years with engine management light no problems whatever. Years ago I ran a 94 Audi Coupe. One day a 'spouting whale" icon appeared on the dash. I had no idea what it meant and after contacting the local dealer, discovered that the rear washer tank(situated in the boot) had run dry. Typical German logic, it had a tank at the front for the front wipers and a tank at the back for the back wiper. Another warning light on the same car was for the brakes which came up with a red hand and the word STOP. Somewhat confusing, perhaps it should have said "you can't stop!"